After 10 years in the styling industry founder of The image Consulting Co, Emmeline discovered many training courses didn’t offer the all-round experience and detailed knowledge required to succeed in Personal Styling, so she developed a training course that delivers hands-on experiences, the rules of the trade, contemporary styling techniques and a good understanding of how to work with your client. 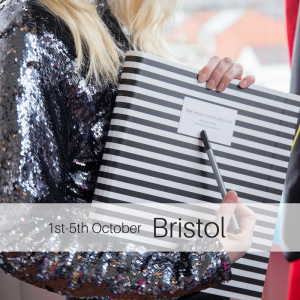 Our 5 day training course will give you the tools you need to be a successful stylist, and it doesn’t end there. With support and mentoring over and above your training, you’ll be hard pushed to find another course that compares. We’re so confident in our course, all of our team members will be more than happy to give you their personal opinion. This course provides all the information you need to either work as a freelance stylist or start your own styling business right away. You’ll learn how to get to the heart of what a client wants and use your flair for fashion to bring out the best in each one. At the end of the course, you’ll also have the option to become part of The Image Consulting Company’s network, which means you’ll have access to all our support materials, work experience opportunities, networking events and mentoring, as well as client referrals from us based on your location and client type. 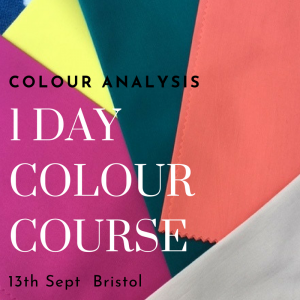 Whatever your background, this intensive 5 day course is designed to offer an introduction to the industry and equip you with all the tools you need to become a personal stylist. Classes take place in a private space in groups of up to 10 people, with plenty of opportunity to ask questions and get involved. Some modules also include interactive elements, where we’ll bring in models for you to work with and gain practical experience. On completion of all five modules, you’ll be a fully qualified stylist and ready to start your new career. Depending on your existing commitments, you can either take all five modules at once in 5 days, or split them across the year to suit your time and budget. As with the 5 day course, classes take place in a private space in groups of 5 or 6, with plenty of opportunity to ask questions and get involved. This course can also be adapted for beginners who wish to gain an introduction to the industry, with an option to then expand onto the 5 day course afterwards if you wish. For a more personalised training experience, we also offer one-to-one courses where you’ll have a dedicated style trainer to take you through all of our modules and offer practical guidance. This is ideal if you’d prefer to do the course at a time and location of your choice and have it tailored specifically to your needs. Price available on request. I’ve been a fashion blogger for years but after training with The Image Consulting Company I’ve learned so much and really grown into the role of stylist. If you’re thinking about it, I’d say do it! It’s so worth it.